Capital Alliance introduces a two-sided insurance policy. Capital Alliance knows that retirement is a milestone in life. But retirement is also filled with worries about cash flow in the future. So how do you maintain your living standards should you become disabled? Fortunately, Capital Alliance has an industry first ‘protect your lifestyle’ plan, which if used with life cover, could lay all those worries to rest. Yes, ageing and retirement are part of life and both have their problems. That is because the risk of injury and impairment increase, as well as that of a fatal illness. 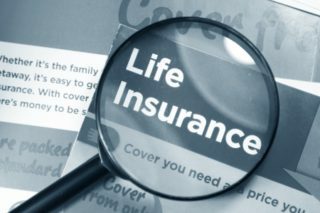 The life insurance industry has many options to suit your needs. However, only a few of them cover you after retirement. Therefore, Capital Alliance offers a dual policy that includes both life cover and disability after retirement. A final payout at death provides for the well-being of your family. In addition, a fatal illness benefit becomes part of the contract. The option pays out 100% of the assured amount, should you die within 12 months. The Immediate Expenses benefit pays out within 48 hours which allows you to pay for a funeral. This option replaces standard funeral cover. Go online and get free Life Insurance quotes. Capital Disability covers you if you become fully disabled and no longer able to perform normal duties. Impairment Cover is for the loss of function for any part of your body, be it physical or mental. Payment is made on the degree of the impairment and not if you can work. A combination of the impairment and capital disability cover in a single benefit. Therefore, it removes the choice of which cover to buy. Absolute cover pays the full benefit of the insured amount with no regard to the degree of impairment. The Whole of Life Term insures you for complete disability before and after retirement and pays out a final sum. Before retirement, the policy pays to help you cover the loss of your earnings due to permanent disability or impairment. As ageing makes you more prone to injuries and illness this could lead to your unable to live independently. These conditions might be costly, and they could influence your standard of living. Should you become disabled or impaired; the Whole of Life plan changes to a monthly post-retirement income that increases with inflation for the rest of your life. Plans from Capital Alliance cater for all your post-retirement needs. And gives you a policy that meets your needs.